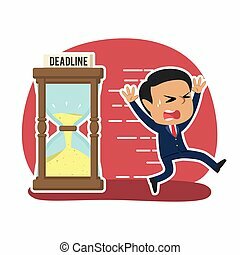 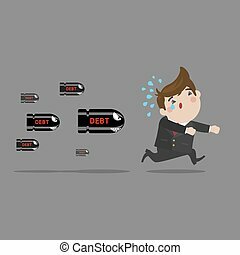 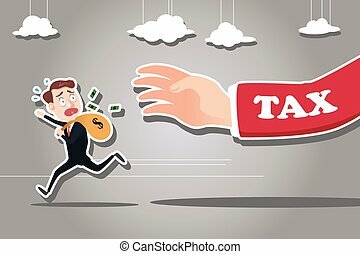 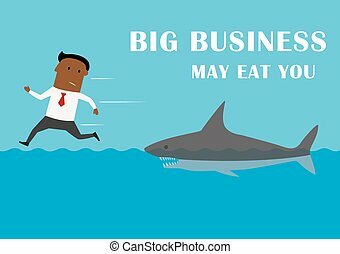 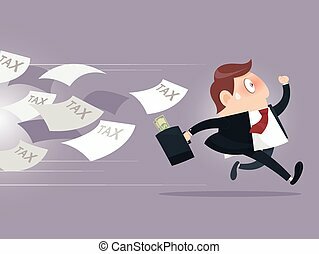 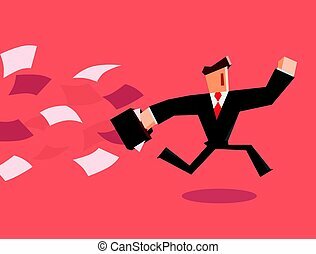 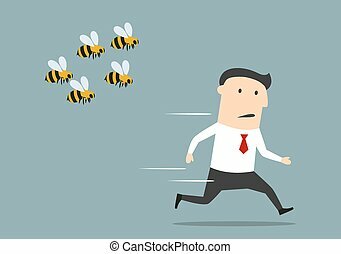 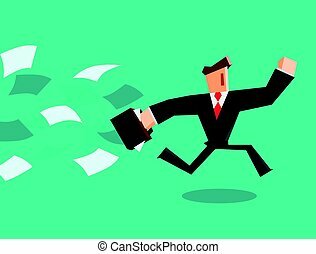 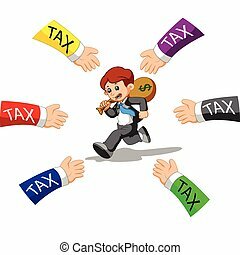 Cartoon businessman running away from bees. 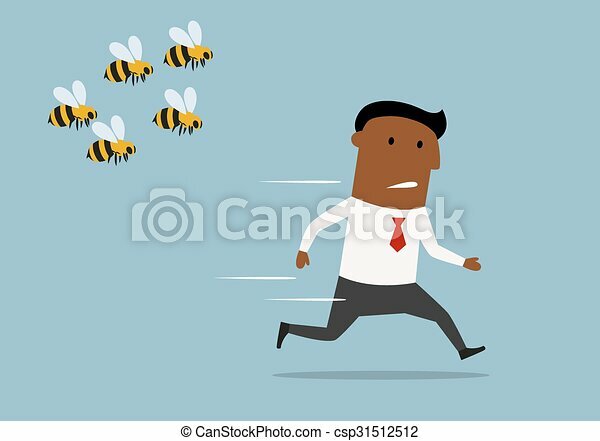 Cartoon panicked african american businessman running away from a swarm of angry huge bees. 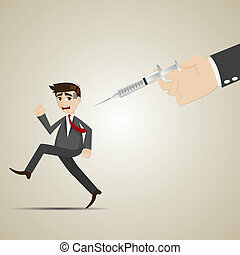 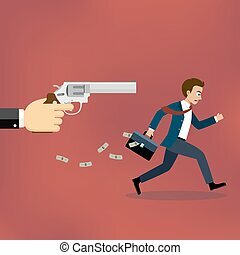 Businessman running away from gunman on the red background. 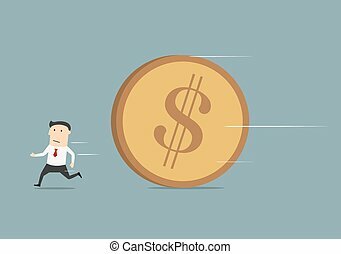 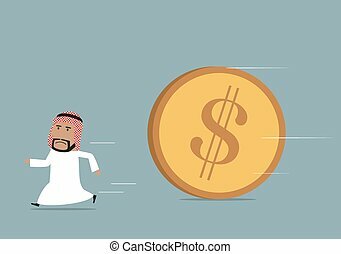 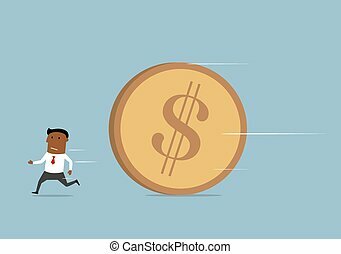 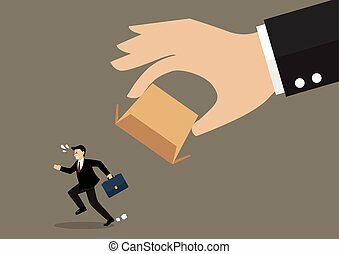 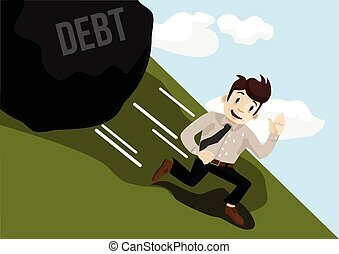 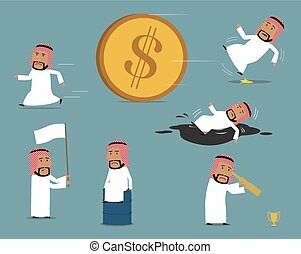 Businessman escaping dollar. 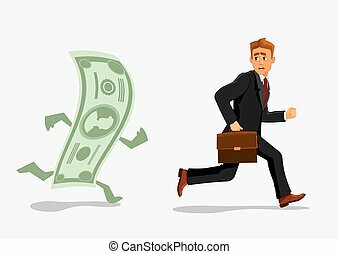 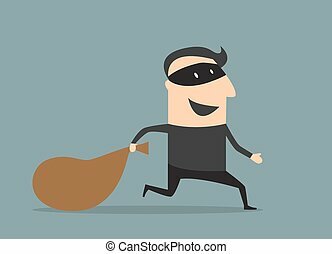 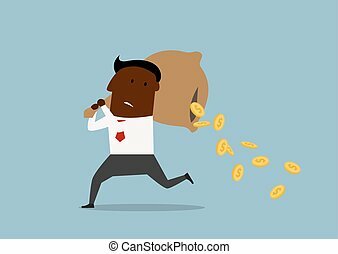 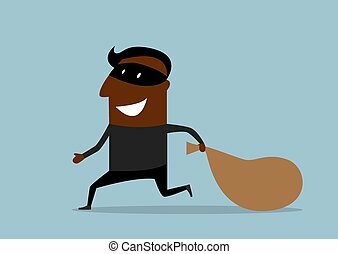 Man running away from banknote. 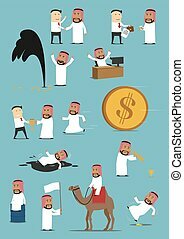 Foreign currency dependency concept. 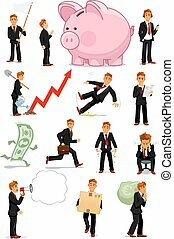 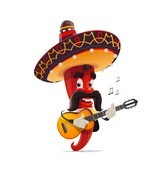 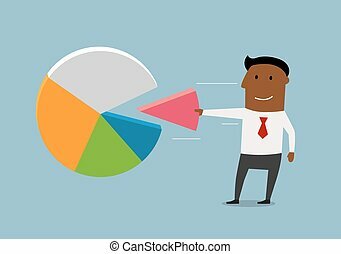 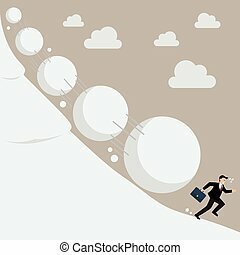 Creative illustration of business, finances, economics, crisis, recession, devaluation.